Today, we mark the 68th Republic Day and are reminded that our Constitution came into effect on this very day in 1950. Since then, India has celebrated its democracy with free and fair elections involving the largest electorate in the world. The right to vote enshrined in and guaranteed to all citizens by our Constitution. The Election Commission of India (EC) has, over the years, worked hard to ensure voters can avail their constitutional right of voting even in the remotest corner of the country. Indeed, India has come a long way from the first general elections held in 1951-52 with about 17.3 crore registered voters to 81.45 crore registered voters in the 2014 General election. The 2014 elections also included 13,65,625 service voters on the electoral roll – this number included armed forces personnel and their families – many of whom voted for the first time in their service tenures as general voters in their places of posting in peace stations. But this didn’t happen automatically. It was a little known fact then that for decades, in the world’s largest democracy, and a country with the third largest army in the world, the right to vote for about 14 lakh Armed Forces personnel, 9 lakh Paramilitary personnel and their families had effectively been denied. And denied by some bureaucratic rationale that was never challenged. Not so today. Voting rights for Armed Forces have indeed become a reality as for the first time in the upcoming Assembly elections in February – March in five states – Goa, Manipur, Punjab, Uttarakhand and Uttar Pradesh, 3,64,136 service electors will get to exercise their franchise through e-postal ballots. A big win in the long fight for the right to vote for our soldiers. A lot of credit for this goes to the Defence Parliamentary Standing Committee, who had pressed the EC to ensure this was introduced expeditiously. In 2013 when I first took on the issue of voting rights for the Armed Forces, many were shocked to learn that a large majority of the Indian Armed Forces personnel had never voted during their Service. I raised the issue repeatedly in Parliament and wrote letters to the then UPA government and indeed also many meetings with then Election commission leadership. To be met with an apathetic stonewalling. I finally took on the then unresponsive government and filed a Public Interest Litigation (PIL). The Hon’ble Supreme Court of India on 23 March 2014, in its interim order, on my PIL directed the EC to allow service voters, posted in peace stations, to register as general voters. Following the Supreme Court’s further directives in the same case, the government issued notification on 21 October 2016, amending rule 23 of the Conduct of Elections Rules, 1961 enabling service voters, including armed forces personnel, to cast their vote in elections through e-postal ballot. Thereby putting into effect much needed election reforms and minimizing delays in the archaic and non-effective postal ballot system. World over, many countries have adopted some kind of an e-voting or internet voting for their Military personnel. These include Australia, Brazil, Canada, Estonia, France, Netherlands, UK, Venezuela and the USA. The USA even has a Federal Act, called ‘The Uniformed and Overseas Citizens Absentee Voting Act.’. In India, the system provided to Service Voters as per The Representation of Peoples Act, 1950 - by the way of either Proxy voting or Postal voting had proved itself inadequate. Postal voting had failed because of long delays in sending out ballots to areas where Defence personnel were posted. The postal votes rarely ever reached back to the Returning Officer in time for the counting. The proxy voting system introduced by enacting The Election Laws (Amendment) Act 2003 in Parliament proved equally ineffective as complicated and long drawn formalities of verifying signatures of the individual and the Proxy and concerns over confidentiality of the choice of the Service Voter discouraged individuals from casting vote through Proxy. Interestingly, until 1969, servicemen could register as voters at their place of posting, but things changed when the losing candidate in a Nagaland Assembly election in 1969 went to court saying the results were skewed because of a large number of Assam Rifles voters. The Supreme Court ruling in 1971 that service voters can register as general voters just like any citizen of the country was defended by the EC, however, in 2008, the EC passed an order that servicemen should have resided in their place of posting for at least three years with their families to register as general voters. Guidelines that made it practically impossible for any soldier to vote in his posting station given that transfers happen every 18-24 months. 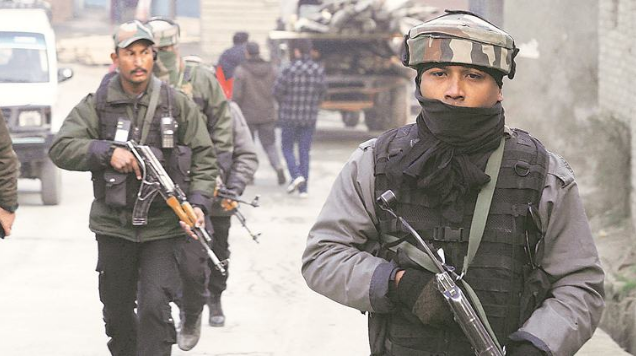 No civilian voter was restricted with such a similar guideline and for years the EC’s apathy towards the country’s 23 lakh soldiers continued while it went out of its way to register voters in far-flung areas. While the Supreme Court order of March 2014 and provision of e-postal ballot has enabled the uniformed soldiers and their families to become part of the democratic process of elections, much still needs to be done to ensure inclusion of all armed forces and paramilitary personnel and their families into the electoral rolls. The introduction of e-voting in these assembly polls is a big first step to ensuring this. As on date, according to the ECI, the total number of service electors stands at 14,72, 796 (10,52,056 male electors and 4,20740 female electors). Indicative that a substantial number of soldiers and their families are still not enrolled as voters. Also sadly, no record of method of voting or number of votes cast as general voters of service voters has been maintained separately and postal votes during counting include those of poll officials too. Provision of voting for soldiers on poll duty in booths must also be made. Ironically, amidst this long overdue enfranchisement there are some arguments of “politicisation” of the armed forces if the soldiers vote. Yes, there need to be clear, precise and strict guidelines on how political parties/candidates can canvas with Armed Forces Personnel. These must include clear restrictions and prohibitions, if any on contact with serving personnel as also the nature and type of canvassing content permitted by political parties to Armed Forces personnel. But we must be in no doubt that our men in uniform who protect the sovereignty of the Nation will surely do right by the same Nation when it comes to fulfilling their duties as citizens. Soldiers and their families must be encouraged to vote because for too long they have been neglected, kept aside and denied participation in the National mainstream. It is now time for us to celebrate their victory to vote.